NO PURCHASE NECESSARY. Ends on 10/23/17. Open to legal residents of the 50 US (DC), 13 and older. 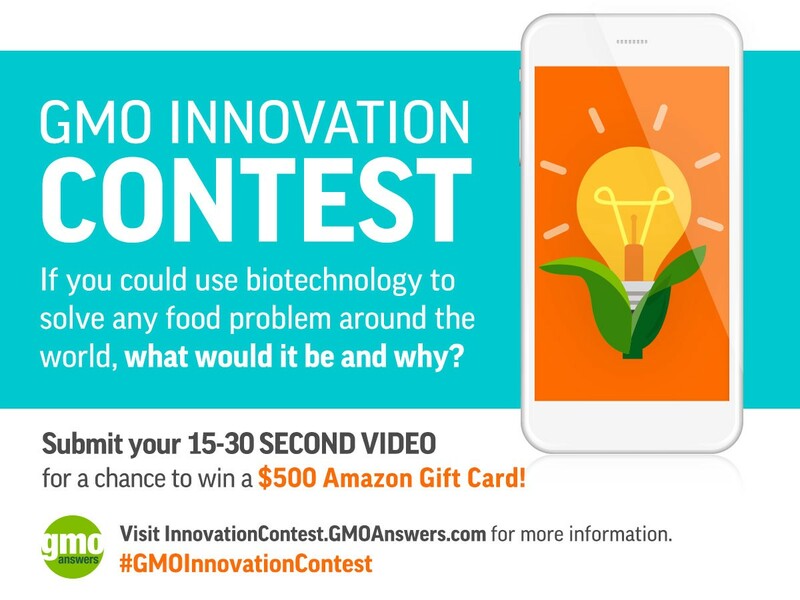 For Official Rules, visit gmoanswers.com/gmo-innovation-contest. Void where prohibited.